The Japanese giant Rakuten has decided to make the most of its investment on the payment processor Bitnet. The e-commerce and Internet company has announced it will accept Bitcoin across its global marketplaces, starting with the United States. Following the integration with the Bitnet platform on US-based Rakuten.com, the crypto payment option will become available in Germany’s Rakuten.de and Rakuten.at, in Austria. According to the information revealed by Rakuten, there’s no indication that the payment option will roll out in Japan – the country where the company is based and where its services are more prominent – anytime soon. Nevertheless, this means Rakuten will become one of the largest e-commerce firms in the world to accept cryptocurrency, joining a group that already includes giants like Overstock.com and Newegg. “In addition to offering consumers enhanced security, privacy, and convenience, Rakuten merchants will immediately see the benefits of being able to use a digital currency, including instant global reach with no cross-border fees, no price volatility, and no fraud, risk or chargebacks,” reads the company announcement. Bitnet will be in charge of all Bitcoin payments received by Rakuten across the globe. The startup, which raised $14.5 million in 2014 through a Series A financing round that included Rakuten, was founded by ex-Visa executives. “Rakuten’s global marketplaces are great examples of how digital currencies can impact global commerce. We’re excited to join with Rakuten in helping both merchants and shoppers reap the benefits of this new technology,” said John McDonnell, co-founder and CEO of Bitnet. Bitnet’s enthusiasm is mutual. “Rakuten’s mission is to empower the world through the Internet,” commented Yaz Iida, president of Rakuten USA. Not only can Bitcoin support this vision by helping our merchants better compete globally, but it also has the potential to benefit society by enhancing the security, privacy, and convenience of financial transactions. 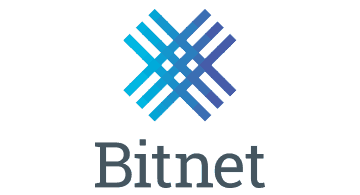 This is one of the reasons why we invested in Bitnet last year and we look forward to working with them on our US marketplace. Rakuten has announced the new Bitcoin payment option less than a month after founder and CEO Hiroshi Mikitani revealed the company was likely to accept cryptocurrency in 2015.